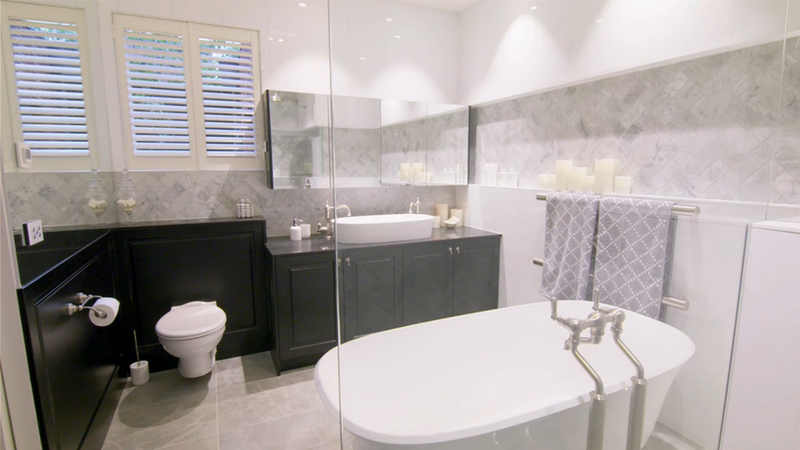 Shaynna Blaze’s latest renovation hit on the Lifestyle Chanel – Deadline Design has transformed the first property of the series. 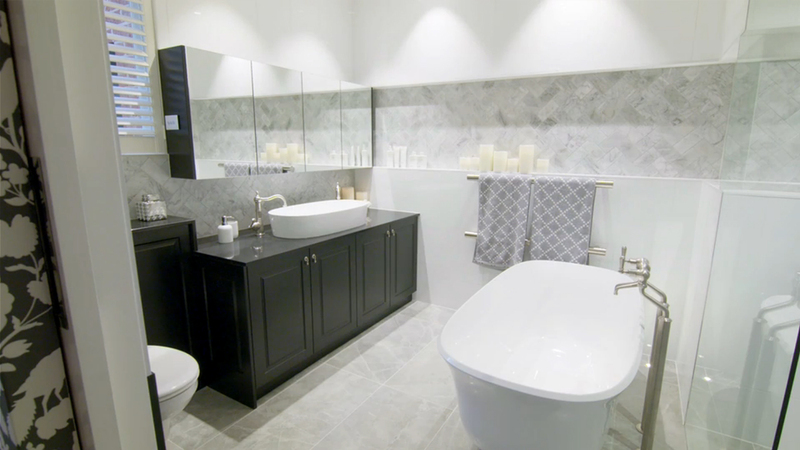 The understated Blackburn property received a total transformation guided by Shaynna and her team. 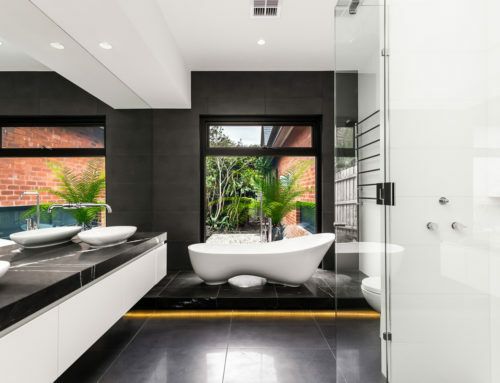 The master ensuite was remodeled with generously sized caesarstone floor tiles, herringbone marble wall tiles, black glossy traditional cabinetry, Perrin & Rowe brushed pewter tapware and our Victoria and Albert Amiata Bath, K12 waste in polished nickel and Ios 80 Basin. The overall effect is a modern-meets-traditional styled retreat for the master bedroom. 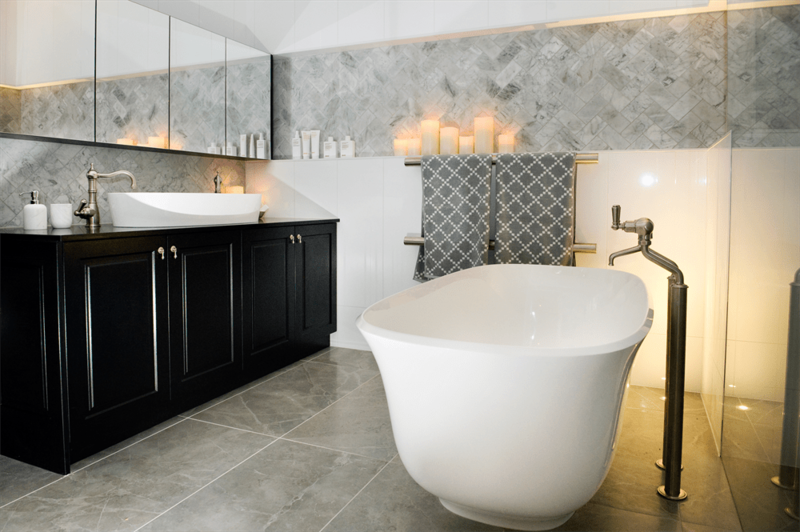 The spacious bathroom was designed to complement the dark colours and bold patterns in the master bedroom to create an intimate luxury sanctuary. 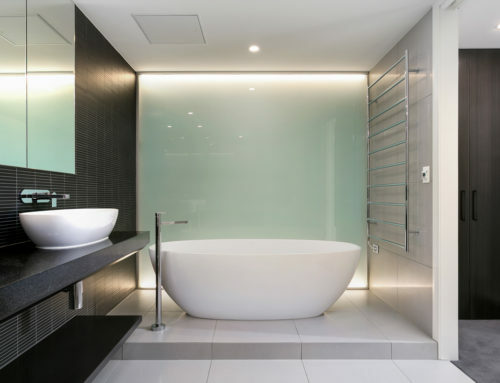 A big thank you to The English Tapware Company for supplying the products for this stunning renovation. See the entire Blackburn property renovation on Deadline Design or view video tour of the house here on the Lifestyle Channel website.